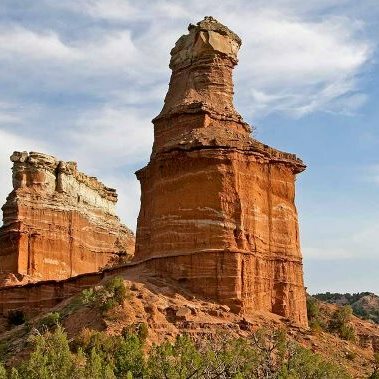 The second largest canyon in the country lies in the heart of the Texas Panhandle. 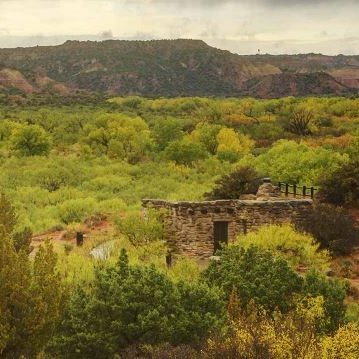 Visit Palo Duro Canyon State Park; experience the canyon's rugged beauty and enjoy its colorful history. 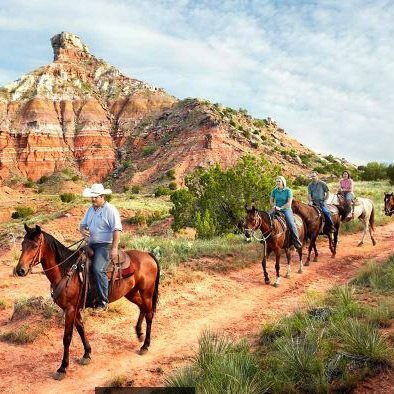 Ride on trails through 1,500 acres set aside for horseback riding. You can also share two other trails with hikers and mountain bikers. Bring your own horses (original Coggins papers required). Park your trailer at the equestrian campground. Bring a water bucket for your horse. Take a guided tour. Old West Stables on the canyon floor leads tours for the whole family to Timber Creek Canyon. They also offer souvenirs and a snack bar. Reservations required; call (806) 488-2180.